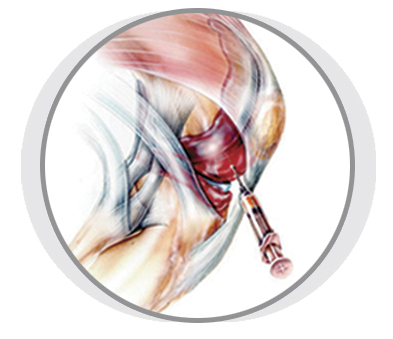 Prolotherapy is a cutting edge regenerative injection treatment used to repair injured ligaments, tendons and joints for people suffering from pain, joint instability and osteoarthritis. Ligaments and tendons generally have a poor blood supply and consequently, incomplete healing is common after an injury. Coupled with frequent use of NSAIDs, ice and cortisone, it is easy to see why chronic pain is so common. Prolotherapy is considered a powerful alternative to surgery and a healthier option to pain medications and anti-inflammatory injections such as cortisone or other steroidal medicine. The revolutionary treatment is minimally invasive and is affordable to boot, allowing you to return to your active lifestyle quickly and safely. DEXTROSE PROLOTHERAPY – How the process works? Dextrose Prolotherapy involves injecting dextrose with an anesthetic into a damaged area, usually a ligament, tendon or joint. This solution causes a local, mild irritation initiating an inflammatory response that “turns on” the body’s powerful healing process. This procedure stimulates the growth of new ligament, tendon and cartilage in the damaged area. The ligaments and tendons produced after prolotherapy appear much the same as normal tissues, except they are thicker and stronger due to the new and ongoing creation of tissue. This new stronger and healthier tissue provides you with a more stable joint, a correction from past pain and discomfort.